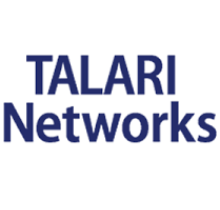 Talari is an innovator in next-generation SD-WAN technology, helping multi-site organizations redefine their remote and branch-office networks by intelligently allocating more bandwidth at less cost, while delivering superior QoS for greater business continuity, operational agility and application control. Talari provides a truly failsafe Software Defined WAN (SD-WAN) solution offering dynamic capacity, improved reliability and higher quality of experience. Our patented hardware and virtual solutions have proven so effective at delivering guaranteed remote uptime that Talari is trusted to broker real-time emergency cloud-voice traffic in large metro 911 call centers. Whatever your mission-critical network traffic, Talari provides the most resilient and responsive network, delivering stable, complex traffic across the widest area network and hybrid-cloud IT infrastructure, regardless of the underlying transport technology or application architecture.